Legendary Composer Marvin Hamlisch has won every major award in musical theatre, film and recording: Oscars, Grammys, Emmys, a Tony and Golden Globes. He wrote the music for Broadway's They're Playing Our Song, Seesaw, Sweet Smell of Success, The Goodbye Girl and his smash hit A Chorus Line, which received a Pulitzer Prize. He compsed scores for Woody Allen films Take the Money and Run and Bananas. He won two Oscars for The Way We Were and third for The Sting (his adaptation of Scott Joplin's music). With Carol Bayer Sager, Hamlisch co-wrote Nobody Does It Better, the theme to the James Bond film The Spy Who Loved Me. He arranged and orchestrated music for Liza's at the Palace and Minelli on Minelli, and was Musical Director/arranger of Barbra Streisand's 1994 concert tour. Marvin is principal pops conductor for the Pittsburgh, Milwaukee, Dallas, Pasadena, Seattle and San Diego Symphony Orchestras. 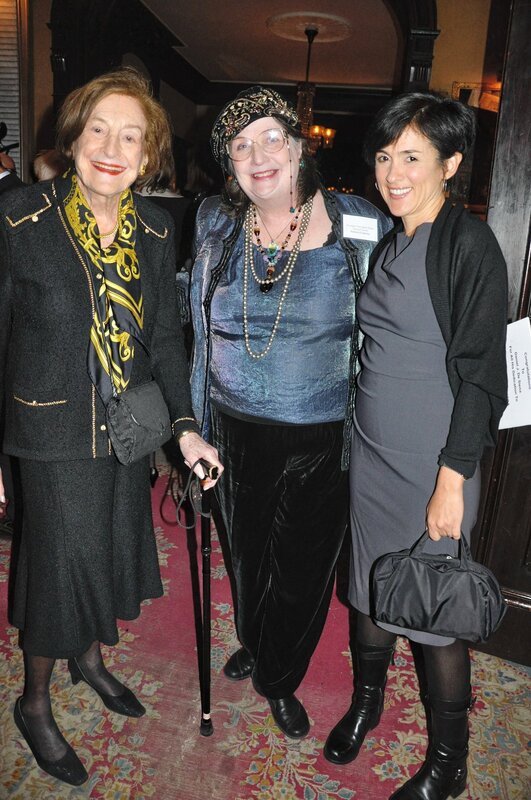 Encompass Emeritus Board member Harriet Slaughter was our host for the evening. We were graced with recollections about Marvin from lyricist Sheldon Harnick, Donald Pippin (original music director/conductor of “A Chorus Line), and Baayork Lee (original dancer, and now choreographer for “A Chorus Line”). Encompass dedicated a song entitled “You are my Guiding Star” to Marvin Hamlisch, from our new opera, “The Theory of Everything,” sung by tenor Christopher Preston Thompson, with music by John David Earnest, words by Nancy Rhodes, and played by pianist Mara Waldman. Beth Ertz was the amazing Music Director/Pianist for the entire evening along with John Miller on acoustic and electric bass. The great surprise of the evening was Marvin Hamlisch's acceptance speech, filled with humble and delightful witty thoughts and theatre stories about the making of "A Chorus Line" and his work as a composer over the years. He encouraged us to always follow our hearts in everything we do; that the most important thing he has learned through all his years of music-making, is that friendships and the joy of working together are the most important aspects of all. After he received his Award from Encompass New Opera Theatre for Lifetime Achievements in Music, he went to the piano, and with all the performers gathered around him, he played the overture to "A Chorus Line." It was a breathtaking moment in theatre history, because the overture had never been played during the actual performances of "A Chorus Line," so we were lucky enough to hear the composer himself perform it that night. And let me say, that rarely have I heard the piano sound so magnificent, truly it was as if there were an entire orchestra in the room! And, in honor of Encompass’ friend and Gala Chairman, Sheldon Harnick, who has everyone knows is the great lyricist of "Fiddler on the Roof," Marvin wove the music into a beautiful rendition of "Sunrise, Sunset," and everyone sang along. Our audiences were thrilled and we celebrated and partied together with Mr. Hamlisch with an array of delicious desserts and champagne. 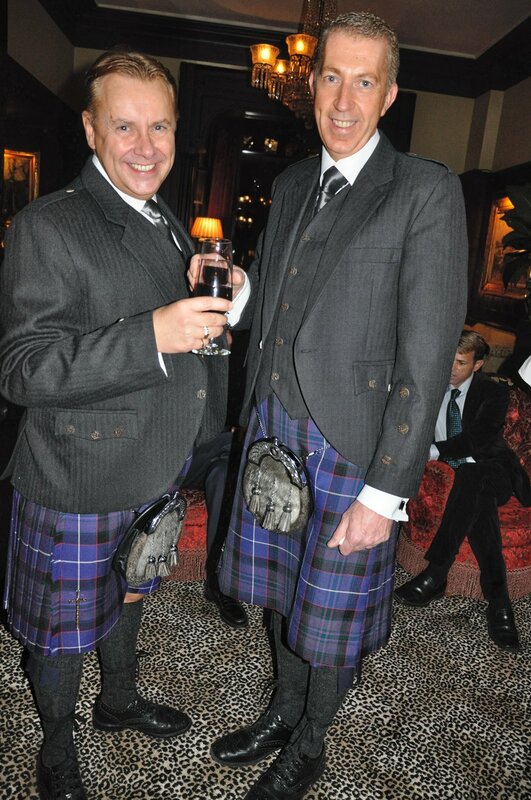 We were excited to greet four wonderful friends who came all the way from Scotland, England, to be part of the festivities, and the two gentlemen even wore their kilts for the occasion! Altogether there were well over 150 people present at the National Arts Club where we held the event on Gramercy Park South. Many thanks to Dianne Bernhard, President of the Club for all her support and to the outstanding Executive Chef Joe Frappaolo and his staff who make our gala each year such a success. 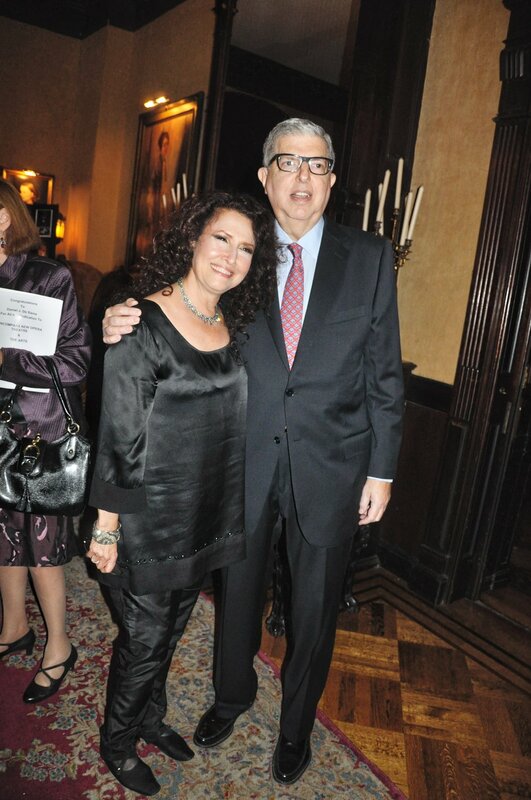 What an honor to celebrate composer Marvin Hamlisch, truly a giant of American Music in every way. We are grateful to our Board of Trustees---Daniel J. De Siena, Chairman, and Board members Barbara Bliss, Jane Clegg, Barbara Eubanks, Bettye Martin Musham, and Lester Wigler; and Board Committee members Etty and Jacob Bousso, and to our patrons and supporters whose attendance at the gala makes it possible for Encompass New Opera Theatre to discover, develop and produce the work of America's newest composers and lyricists. Thank you all! Photo Credit: Ben Gabbe Photography. Contact Ben Gabbe to order prints. We are saddened beyond words at the unexpected passing of the legendary composer Marvin Hamlisch. 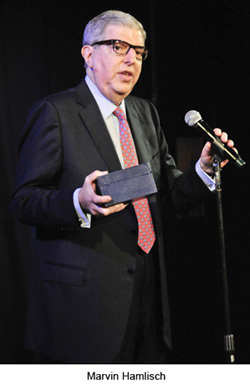 Last November, one week before Thanksgiving, Encompass New Opera Theatre had the very special privilege of paying tribute to Mr. Hamlisch with "A Musical Salute", honoring and celebrating his magnificent life devoted to music. So many friends, fans, and colleagues came that evening to sing for him and share their personal thoughts in thanks for all that he had given them throughout the years -- Lucie Arnaz, Klea Blackhurst, Craig Carnelia, Judith Clurman and her choir Essential Voices, USA, Brian d'Arcy James, Kevin Earley, Beth Ertz, Sheldon Harnick, Emma Hunton, Capathia Jenkins, Michael A. Kerker, Baayork Lee, Melissa Manchester, John Miller, Donald Pippin, Richard Pittsinger, Christopher Preston Thompson, Harriet Slaughter, Mara Waldman, Karen Ziemba, David Zippel, and the Encompass Board of Trustees, Daniel De Siena, Chairman, and members Barbara Bliss, Etty & Joseph Bousso, Jane Clegg, Barbara Eubanks, and Bettye Martin Musham. But it was Marvin himself who stole our hearts and graced us with his wisdom that evening, as he encouraged us to "always follow our hearts in everything that we do." He inspired us with his humility and generosity when he shared with us that the one thing that really matters in music-making and life "is the friendships we make and the joy of working together." He brought tears of laughter as he joyously filled the room with his magnificent humor and spirit, as he recounted humorous stories from his life. We will always remember him going to the piano and playing the overture to "A Chorus Line," and it sounded amazingly like a symphony orchestra. Marvin touched our hearts that night with his grace and his generosity of spirit. He gave the world his gift of music which will live and soar forever.